There are so many social networks, apps and the like that want to connect us with as many people in the world as technologically possible. But then there are apps like Pair and Avocado that want to connect you with only one—Your beloved. Recently there has been a growing marketing for mobile apps designed to keep couples closer. Here are two that have just launched and are ready to reconnect our relationships. In the most recent startup grad class at Y Combinator, a Pair of star-crossed apps launched. Actually, it was only one app, and it’s the answer to our long-distance relationship prayers. Oleg Kostour is the architect turned app creator behind the coupled-up app and he says it’s similar to the private social network Path only this time it’s an app made for two. Three of the other creators were in long-distance relashonship during Pair’s inception, finding it hard to keep in touch with their complicated multi-app networks. Pair streamlines your “I love you, honey” tweets, your “baby, I miss you” FB pics, and your, “I’m feeling so lonely” Skype video unmetionables. The interface is organized like text messages–your pics are displayed on the sides of your texts. But you also have the option to send videos, photos (with the option of touch-ups, amazing). There’s even a “thinking of you” button similar to Facebook’s poke. You can even draw with the apps scribble feature for all your lovely doodles and funny pics. But Pair is not the first app like it’s kind, and certainly won’t be the last. There’s a new power couple app in town. Chris Wetherell and Jenna Bilotta were ex-Googlers turned couple, and subsequently app developers. They wanted to find a way to stay closer and organize their life together. And Avocado was born. The app’s main feature tries to mimic how couples actually interact with each other. 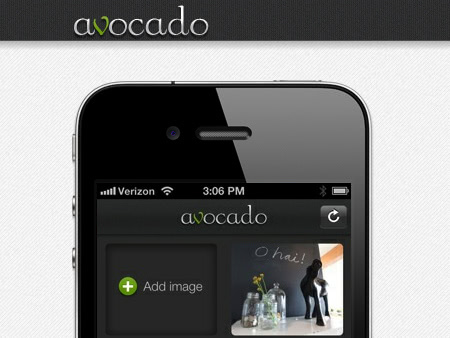 So, what makes Avocado different from Pair or other couple apps in the market? 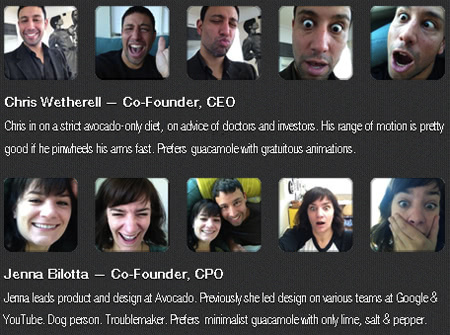 The Avocado team wants to make sure you’re connecting to only your significant other, and not another weirdo app hacker. They’ve outfitted the app with identity verification and advanced encryption, with a shared password between users. And, the app is ready to jump into the competition with their $1.3 million round of seed in hand. Not bad, you two. This might have come in handy with my brief long-distance relationship a few years ago. I say brief because the constant Skype freezing was not conducive to transatlantic romance. Hopefully, these apps will do much better keeping your relationships alive.